Hi! My name is Briana, and I'm the new Development Director at Bark! As the newest Barker in the pack, it's been a joy to meet the many volunteers, supporters, and forest sustainers committed to our work. I know today is April Fool's day, but we aren't kidding when it comes to growing our activist community. Each year, Earth Day reignites, mobilizes, and unites people from across the world in the fight for a healthy planet. This year, Bark is collaborating with Earth Day Oregon to broaden our Bark community and partner with local businesses in support of Bark's mission to protect and restore Mt. Hood National Forest. The health of Mt. Hood National Forest impacts as us all — as the most visited forest in the U.S., these unique and sensitive ecosystems provide drinking water to over 1 million people, act as carbon sinks to mitigate the impacts of climate change, and provide habitat to thousands of native plants and animals. That's why we're calling onto you to do good for Mt. Hood this Earth Day! Earth Day Oregon is an initiative created to increase the impact of Earth Day by partnering sustainably-minded businesses together with Earth-focused nonprofits to amplify support for organizations that work to protect the planet. Our partners, Alberta Co-Op, Dove Vivi Pizza, Eastburn Public House, and The Circuit Bouldering Gym are stepping up and creating ways for you to give and act locally! Check the list below to support your favorite forest advocacy group and local businesses. Alberta Co-Op Change for Change Program: Alberta Co-op's Change for Change program lets you round up your grocery bill to the nearest dollar to support Bark's work! Dove Vivi Pizza 10% Tuesdays: Each Tuesday evening in April, Dove Vivi Pizza will donate 10% of sales to Bark! Be sure to stop by from 4PM-10PM to indulge in some of the finest gourmet pizza in town all while supporting Bark's boots-on-the-ground efforts. 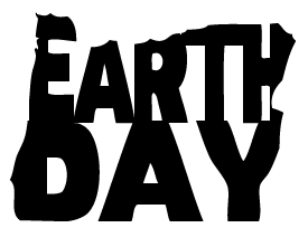 EastBurn Public House - Earth Day Brunch: Portland's favorite brunch spot will be serving specialty Bark items on their Earth Day Brunch menu Monday, April 22nd through Friday, April 26th. EastBurn will be donating 10% of all EastBurn Benedict sales in support of the protection of Mt. Hood's forest, rivers, and wildlife. The Circuit Bouldering Gym - Day Pass Promotion: In celebration of the forests we work to protect, the Circuit Bouldering Gym is giving Bark donors a special deal! Each member who donates $10 or more throughout the month of April is eligible for a $5 day pass. The regular price for a day pass is $17. Simply bring your donation receipt to the gym qualify. Donate today & receive a $5 day pass at the Circuit Bouldering Gym! Thank you to Bark's wonderful business partners and for Earth Day Oregon for the opportunity to grow our Bark community! P. S. - Spring into action this season and join Bark at one of our many hikes, trainings, and workshops!